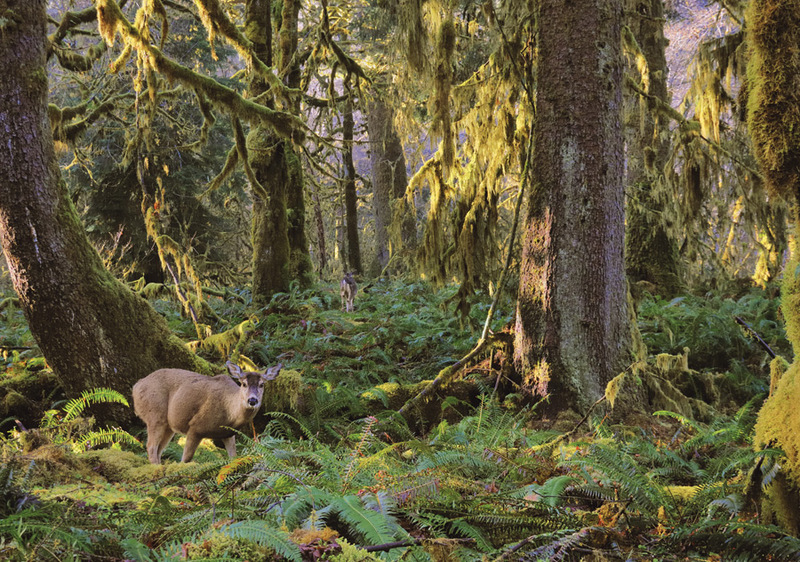 Despite having plenty of predators—among them bears, wolves, coyotes, mountain lions, bobcats, eagles, and humans—deer are plentiful throughout the forests of North America. 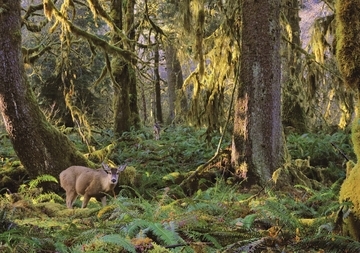 The white-tailed deer (Odocoileus virginianus) is widespread across the continent, especially east of the Rocky Mountains, while the mule deer (O. hemionus) is found predominantly in the Rockies and points west. Larger members of the deer family (Cervidae) found in North America include the elk (Cervus canadensis), caribou (Rangifer tarandus), and, largest of them all, the moose (Alces alces).